A balanced body is a happy body! A body that's out of balance can cause you pain anywhere from your feet all the way to your neck. Custom made Spinal Pelvic Stablizers are specially made just for your feet and for your postural condition. Your feet are your foundation. 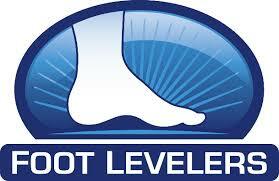 If your feet are not properly supported, you can have postural problems throughout your body. The joints in your body that bear weight ( ankles, knees, hips, pelvis, low back, neck) are links in a chain. If your feet aren't balanced, every joint (and the connecting muscle, tendons, and ligments) above may become injured over time due to unnatural twists and strains on your body. Pain then occurs because of these imbalances. Even when your feet hit the ground, it causes shock waves that travel up throughtout your body. 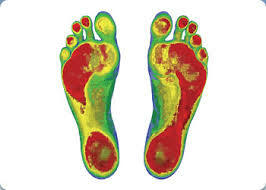 If you are balanced, your feet can absorb much of that shock without causing additional stress/strain. Each stablizer is unique, just like you. There are many styles and features to choose from depending on your needs and the shoes you wear. Dr Susan Crump-Baker listens to your body's needs and takes the time to address your concerns. Your lifestyle , age, weight, activity level, and condition are also considered . After an exam and through testing , Dr. Baker individually casts both feet to get the complete exact fit that addresses all three phases of your step. The Exam & Postage are included in the price and it ranges from $180- $250. Call our Bridgeton Location to Schedule an appointment with Dr. Susan Crump-Baker at (314)-291-4401 today. ****You'll be Glad you did!